NIH Awards Syracuse University Grant to Prevent Catheter-Associated Infections. Urinary catheters are commonly used during surgery and in patients who cannot otherwise control urination. Unfortunately, patients who need long-term catheterization tend to experience blockages and urinary tract infections caused by bacteria that cling to the catheter. Even patients that require short-term catheterization can be at risk. Catheter-associated urinary tract infections are one of the most common health care infections in the United States, according to the National Health and Safety Network. New research in the College of Engineering and Computer Science, led by Stevenson Endowed Professor Dacheng Ren, aims to prevent these infections by building a better catheter. 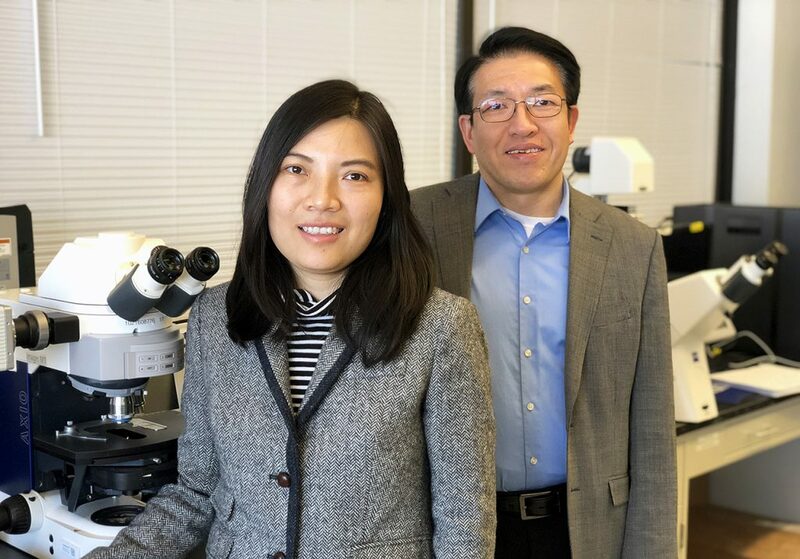 The research team—which includes Assistant Research Professor Huan Gu and SUNY Upstate Medical University Associate Professor and Reconstructive Urologist Dmitriy Nikolavsky—is designing a catheter that prevents biofilms from sticking to its surfaces. A biofilm is a slimy, complex layer of bacteria that holds together and adheres to surfaces inside or outside of the body. Thanks to an Exploratory/Developmental Research Grant Award (R21) from the National Institute of Health (NIH), the team will engineer unique, non-fouling, catheter-based polydimethylsiloxane (PDMS) and then evaluate its biocompatibility and effectiveness in thwarting infections. The team has obtained promising results that such dynamic change in surface topography can remove more than 99.9 percent of biofilms of Pseudomonas aeruginosa, which are a common cause of infections acquired in hospitals. Ren leads a well-established research program in biofilms. He studies the mechanisms of biofilm-associated resistance to antimicrobials, engineers smart surfaces and biomaterials to control microbial biofilm formation, and develops new strategies and inhibitors to kill biofilm and dormant bacterial cells more effectively. Given the strength of his ongoing body of work, this new application is a natural next step. And the science that is established with catheters today could be applied to a variety of materials and medical devices tomorrow.